Now that I've been a mama for a little over two months, I have definitely developed a routine. It's been interesting to see what items from my baby showers are being used on a daily basis, and what items I really wish I'd gone without. I know that as a baby shower attendee BEFORE having my own little one, I didn't really know what to get for my friends. But now that I'm a mom, I can speak to things that us new moms really want and need. Whether you aren't sure what new products are on the market today, you've never been a mom and are clueless when it comes to shower gifts, or you're a new mom looking for the best items to register for, this post is for you! From the first night you bring a newborn home, getting them to sleep at night is one of your biggest priorities. New moms will need a good supply of swaddle items to help their little one sleep without waking up in the middle of the night. I'm a huge fan of Halo Sleepsack Swaddles, and we also have some Sleepsacks for when our little man starts rolling over and doesn't need to be swaddled anymore. The Swaddle Me velcro wraps from Target are great too, and you can never have too many when baby spits up or has a blow out in the middle of the night! Other great sleep items to purchase are sound machines, footy pajamas with an inverted zipper (great for midnight diaper changes), and a night light or lamp. I know it sounds super lame, but us moms go through SO many diapers and wipes over the course of a baby's life. Having a stash built up before the baby is born is so nice and even helps to avoid stress for a new mom. We put a ton of them on our registry and I'm grateful that we really haven't had to buy anything other than a few newborn diapers (because our baby Eli was smaller at birth than many babies are). Buy diapers in a variety of sizes- not just size one - so that your new mom friend has a stash for a long time. Also, most places with registries will let people return gifts for up to a year, so if the baby moves out of one size of diapers, the parents can exchange or return and get another size with no trouble! Other great related purchases would be a changing pad and some changing pad liners that can easily be washed and switched out. Even though babies are small, they generate a heck of a lot of laundry! We've found that you can never have too many burp cloths, as you'll want some to cover places where the baby is laying, some to burp them with, some to cover them (if they're a boy) during diaper changes, and some to use while breast or bottle feeding. Just think of how many burp cloths new moms will go through in a day, especially if their baby is a spitter or has reflux! Bibs are also a great purchase. Even though the baby won't eat solid foods for a while, bibs are a great way to avoid getting spit up and drool all over cute outfits and car seat straps. I especially love bandana bibs! 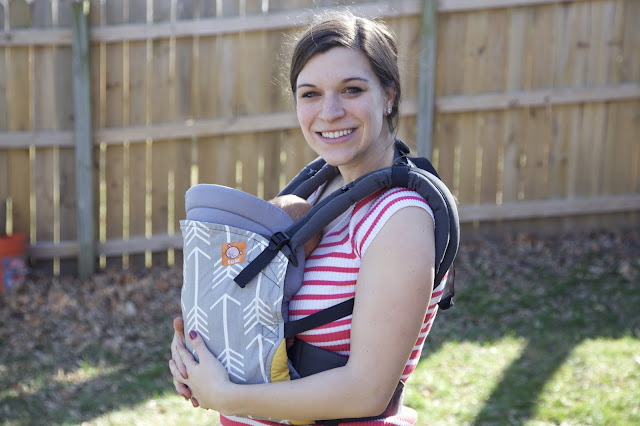 While they may not be much fun to purchase, new moms will be oh so grateful for any postpartum items that you buy them. Although they'll get a few leftovers from their hospital stay, gifting items like Always pads with wings, nursing pads, lanolin cream, Dermoplast, witch hazel "Tucks" pads, and Colace will have new moms thanking you in the first few weeks after birth! If moms are planning to nurse and or pump, they will also appreciate cute nursing friendly tops or dresses and milk storage bags. If you're uncomfortable with these types of purchases, see my next suggestion! Again, I know this sounds lame, but having gift cards is every new mom's dream! Gift cards are perfect for those Target runs when moms realize what they actually need but don't want to have to spend money on with all of the hospital bills coming. We keep ours in a Ziploc bag, and pulling them out to take along on a shopping trip has me thanking those gift givers all over again, months and months later! If you're able to go in on a bigger gift with friends or family members, your new mom friend will be oh so grateful to you! 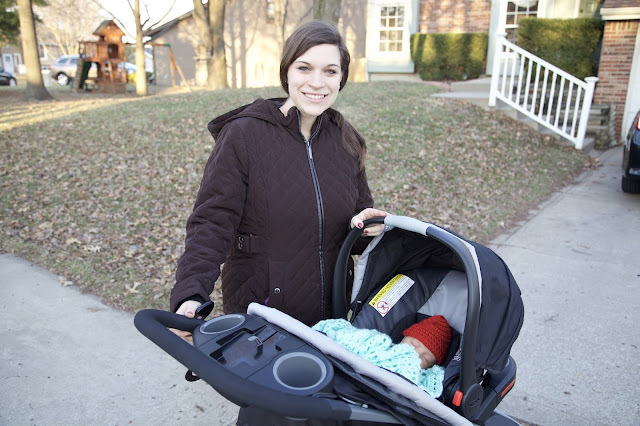 Some of the last things to be purchased on our registry were the bigger ticket items like our Tula carrier, travel system, high chair, and convertible car seat for later on. Having friends and family go in on purchasing these items really saved us from spending a lot before the baby was born, and we also got some items for when he is a little older. Also, we totally love and recommend our travel system (which is a Graco FastAction Fold Jogger Click Connect). Having the car seat, stroller, and base that all come together and click together is amazing, and helps with transferring our little man without waking him. New parents MUST have a car seat and base before they can leave the hospital with their new little love, so this gift will be used right away. 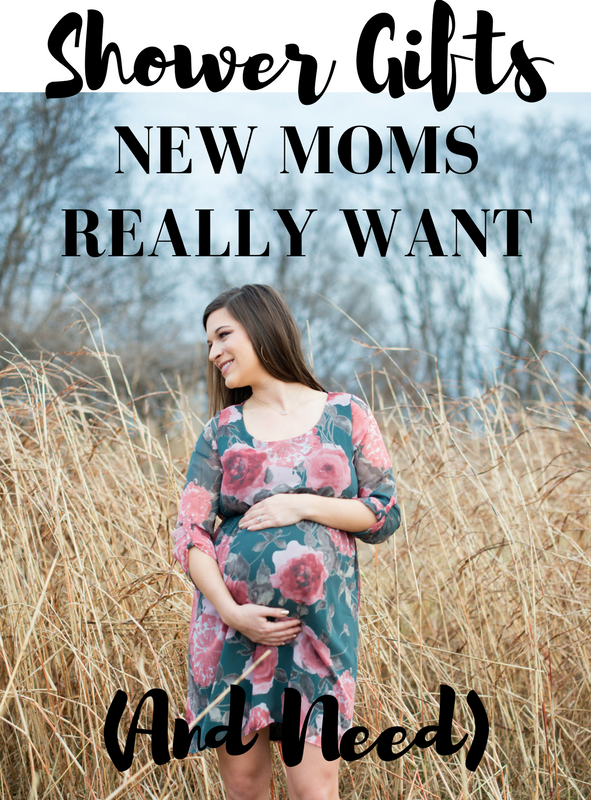 While I could go on and on about other specific items that we've loved like our Boppy Newborn Lounger and our Motorola video monitor, every new mom's preferences are different. Definitely purchase items off of the registry if you can, as it makes it easier for the new mom to make returns or exchanges as needed. Plus they likely registered for what they really want. That being said, these gift ideas listed above are sure to be put to good use by any new mom, no matter their style! What shower gifts were your favorites and most-used, mamas? Click here if you'd like to read other Motherhood Posts like 10 Tips for Surviving the First 6 Weeks with a Baby! Be sure to follow along on Facebook and Instagram for other posts! We kept our registry pretty small and encouraged people to gift towards our stroller. It was really nice to not be flooded with extra items we wouldn't have room for since we were living in a one bedroom apartment until our son was 3 months old! Thanks for all these ideas and tips! I'll have to keep this in mind whenever I go to the next baby shower! Great ideas! I hate having a bunch of unnecessary stuff, especially because I have twins! Having the bigger items taken care of definitely helped, as well as soooo many burp cloths (both had some reflux issues!). What a great list! Bring on ALL the diapers. I don't think you can have too many flannel receiving blankets, either. We use them for burp cloths, changing table covers, tummy time mats, swaddles. I swear by Swaddle Me's! I get them for every single new mom I can because they were a serious life changer for me.